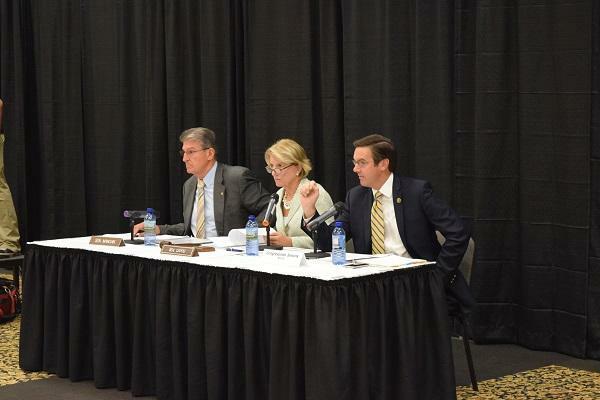 We asked you which questions to ask Sen. Shelley Moore Capito, R-W.Va., and you came through. Our news team selected these five to ask. We encourage you to listen to the entire interview, and let us and Senator Capito know what you think through social media - @wvpublicnews, @radiofinn and @SenCapito on twitter, of Senator Capito’s or WVPB’s Facebook pages. One of our audience members, Cassy Lee, asks this question on the WVPB Facebook Page: Do you support adult use cannabis legislation? If so, under what conditions? 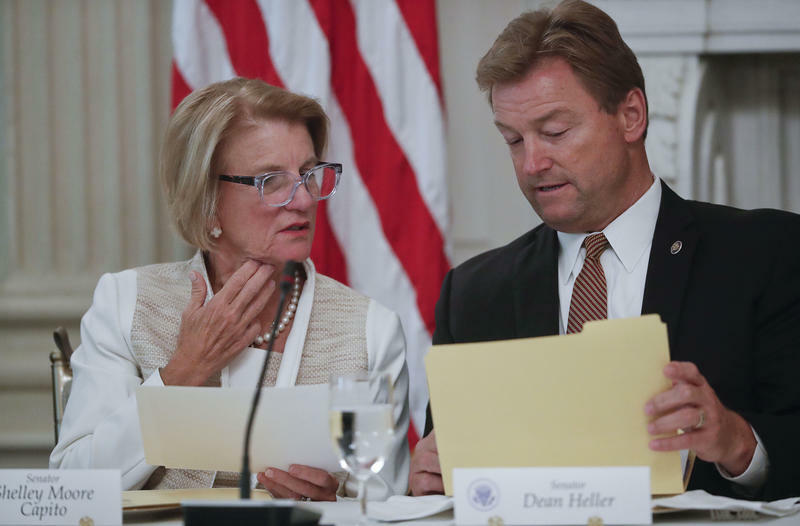 Capito says, “I have fewer issues with medical marijuana, although I don’t think we’ve researched that enough to really know, exactly, what kind of benefits but also what kind of impacts. “But most states have moved in that direction, as West Virginia has, so I would accept that and be a supporter of that. 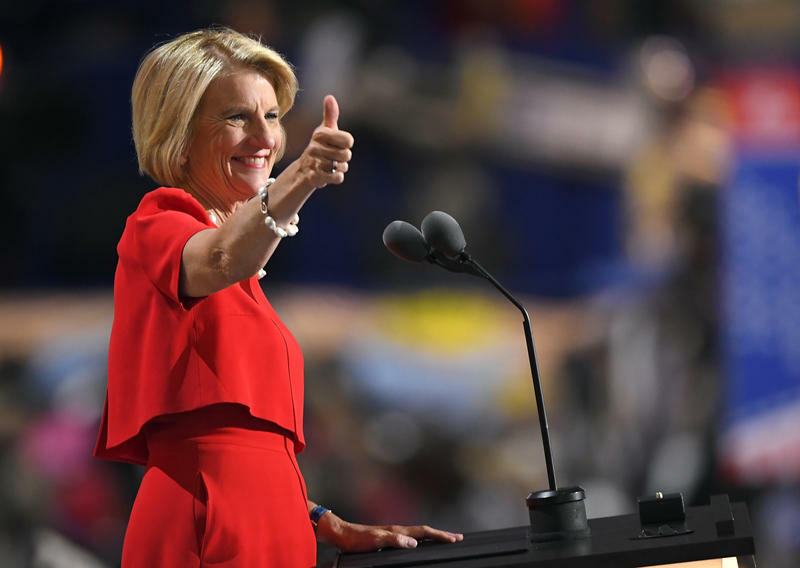 Others also wanted to know what Senator Capito thinks about the teacher strike, and if she supported that action. Capito says, “I’m supportive of appreciating our teachers, paying our teachers, retaining our teachers as best we can. I think what I saw unfolding was sort of a political exercise that was very successful. It was very well organized. I congratulate the teachers and their leadership on showing the passion…for really putting the pedal to the medal and making sure the Legislature and the Governor really came through on this. “As a mother, my kids aren’t in school anymore, being out of school for a really long time like that… I disagreed with the tactics of being out as long. But I think part of that, without throwing anybody under the bus, was what went forward was the only way to get the commiserate attention that the teachers needed. Capito says she has a family member who lives in West Virginia but teaches in Virginia and makes $20,000 more, and that is an issue, especially in the Eastern Panhandle. Capito says, “I want to see us protect our steel industry, I think it is important for a lot of reasons, security reasons as well. I support that he is moving in this direction, in terms of putting us on a more even playing field for trade, particularly with something as critical as steel and aluminum. She gave the example of Constellium in Ravenswood, which uses rolled aluminum from Canada and would be hurt by tariffs on Canadium aluminum. She says she hopes tariffs are targeted at the countries who are not following trade rules. Capito says the student remembrances/walkouts this week were a good thing, because they engaged young people in important issues. She spoke about two bills now in Congress, “Secure Our Schools” with resources for schools, better buildings, more counselors, more coordination. And the “Fix NICS” bill to improve background checks and get more information uploaded into the federal background check system. Although bills like these have languished in Congress before, “I do think this time is different.” She pointed out that each bill has a large and bi-partisan list of sponsors. She said two significant bills passed before President Obama left office – 21st Century Cures Bill, and Comprehensive Addiction and Recovery Act. 1. Federal funding should be targeted to the states with the worst problems – not just based on population. 2. Work with the programs that work. 3. Increase funding for them. 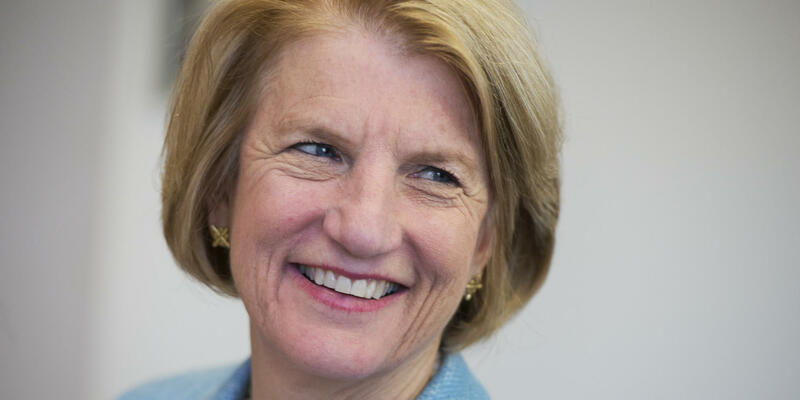 A day after announcing she could not support the Senate Republican-backed healthcare overhaul plan, West Virginia Sen. Shelley Moore Capito said Wednesday she will offer her own changes to the bill which she thinks could make it more palatable in West Virginia.